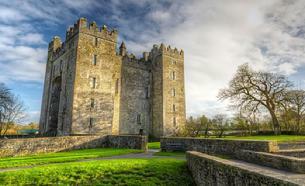 Bunratty Castle and the Cliffs of Moher- the Castle is the most complete and authentic medieval fortress in Ireland. Built in 1425 it was restored in 1954 to its former medieval splendour and now contains mainly 15th and 16th century furnishings, tapestries, and works of art which capture the mood of those times. Today, the castle stands peacefully in delightful grounds. You are invited to wander through the castle and marvel at the finest collection of medieval furniture in the country which brings to life a vital part of our Medieval past. The Cliffs of Moher are one of Ireland’s top visitor attractions and are a designated UNESCO Geo Park. These truly spectacular cliffs are 214m high at the highest point and range for 8 kilometers over the Atlantic Ocean on the western seaboard of County Clare. 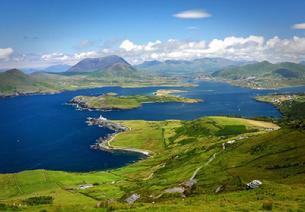 Travel to Killarney from where the “Ring of Kerry” tour will commence. This trip from Killarney includes 160 kilometers of picturesque scenery, majestic mountains and winding coastline which takes you to Killorglin, Cahersiveen, Waterville, Sneem and Kenmare. Visit Moll’s Gap and Ladies View and enjoy stunning panoramic views. The road winds between the Macgillycuddy’s Reeks, the highest mountains in Ireland and the Atlantic Ocean and there will be plenty of stops to admire the views, interact with the locals and enjoy coffee or tea and homemade scones. There is special QQML 2017 rate €110 Single Bed and Breakfast; €65 per person sharing Bed & Breakfast. To avail of the rate delegates should send email to reservations@savoylimerick.com and quote "QQML 2017". Perfectly placed and set within vibrant shopping and theatre district of Limerick City, The Savoy is Limerick’s most celebrated and glamorous 5* luxury hotel. With 92 lavishly appointed rooms and suites which feature luxurious marble bathrooms and all the little extras one could hope for. For relaxation or exercise, indulgent spa treatments, gym, and a private pool are also available. The Savoy is a destination for food lovers and drink connoisseurs alike: a choice of five stylish restaurants and bars offer something to suit all tastes. Dine informally in the New York Style Hamptons Bar and Grill, where an imaginative extensive menu of sustainable, fresh fare is on offer from lunchtime until night. The 4 star Limerick Strand Hotel http://www.strandhotellimerick.ie/ is located right in the heart of Limerick City. The hotel has a magical Riverside setting overlooking the River Shannon and is close to such landmarks as Thomond Park, Limerick Milk Market and King Johns Castle. The hotel builds on its reputation as one of the finest hotels in Limerick with award winning dining, state of the art leisure centre and exceptional conference spaces. The George Boutique Hotel, which is located close to the Savoy Hotel, is offering a special QQML2017 rate €79 Bed & Full Breakfast per night (single room) and €89 Bed & Full Breakfast per night (twin room). To avail of the rate delegates should check in from 22-5-17 to 27-5-17 and send email to info@georgelimerick.com and quote "QQML 2017". The George Boutique Hotel Limerick is a luxury 4 star hotel on O’Connell Street in Limerick, inspired by the leading boutique hotels around the world. This popular Limerick City hotel is located right in the city centre close to shopping, entertainment and the commercial district. Guests can experience the perfect match of cutting edge cosmopolitan boutique hotel style and an unparalleled standard of service in swish luxury hotel surroundings in the heart of Limerick City. The Pier Hotel combines a friendly hotel with a convenient central location – the delights of Limerick city are right on our doorstep, with many shops to explore and night life to enjoy all just a short walk from the front door. 4 star hotel in Limerick city, on the site of a Franciscan monastery now home to our exquisite boutique hotel offering stylish rooms, great dining, Spa and much more. The Clayton Hotel Limerick, Ireland’s tallest hotel, is superbly located overlooking Limerick’s famous River Shannon. The hotel offers beautifully designed air-conditioned rooms, a health & fitness centre with swimming pool and the hotel offers two dining options. Just a 5 minute stroll from the city’s shopping and entertainment hot spots. The Boutique is Located in the Heart of Limerick City, Beside the Main Pedestrian Shopping District, Close to Lively Pubs, Restaurants, Cafes and Local Attractions.One of the Most Competitive accommodations in Limerick just off Patrick Street, Offering Comfortable en-suite Rooms, with 26 Rooms in Total. The Limerick City Hotel is the ideal base in Limerick City Centre for guests visiting Limerick City. Perfectly situated in the heart of Limerick City and within walking distance of the hub of the city centre. Within a short distance to all industrial parks with easy access to public transport both rail and bus. The Radisson Blu Hotel & Spa, Limerick offers a peaceful retreat just outside of the city center. Striking views of the Woodcock Mountains make a picturesque backdrop for this well-appointed accommodation. At our award-winning on-site restaurant, guests can indulge in international favorites as well as Irish specialties. Travelodge Ireland is Ireland’s leading provider of budget hotels with 12 hotels in Ireland. We offer great locations with 5 hotels in Dublin, 2 hotels in Limerick and hotels in Belfast, Derry, Galway, Waterford and Cork. We offer excellent value and hospitality in order to meet the needs of both business and leisure guests. Pery’s Hotel is an independently owned 3 star Hotel excellently situated in the Historic Georgian Quarter of Limerick’s fine City. We are located just off the main street, O’Connell Street, right in the very heart of Limerick City. With just a stone’s throw from Colbert Station, Limerick’s main bus & train station, and only twenty minutes drive from Shannon Airport, everything that you would hope to experience in Limerick’s Vibrant City is at our doorstep. The Greenhills Hotel in Limerick is a family run hotel situated on the Ennis road on the North side of Limerick city. The hotel has a friendly and relaxed atmosphere that only a family run hotel can offer. The hotel is ideally located near Thomond Park, the home of Munster rugby, and close to King John’s castle while being just a short distance into Limerick city centre for all your shopping and retail needs.